ANAHEIM, California – HARMAN’s HardWire™ today announced the introduction of its HT6 FastTune Tuner app for iPod, iPhone and iPad. The HT6 FastTune app enables those devices to function as a polyphonic tuner, letting guitar and bass players tune all their strings at once. The HT6 FastTune Tuner app is based on the popular HardWire HT-6 Polyphonic Tuner floor pedal, which makes tuning instruments faster and easier by allowing the musician to simply strum all the strings at once, and view the display to see which strings are in or out of tune. The app works using the iPod, iPhone or iPad mic input, and it can also operate by plugging an instrument into the device’s headphone input or 30-pin connection. The FastTune app can be used with a guitar or four, five or six string bass. The HT6 FastTune Tuner app provides an immediate visual indication of which strings are in tune, sharp or flat, and its display can be set to either polyphonic mode, or chromatic tuning mode if desired. The app offers automatic capo detection – it senses if a guitarist has a capo on the neck and adjusts the display to tune to the correct chord. Adding to its appeal, the app offers a Drop-D tuning mode for users of this popular alternate setting. 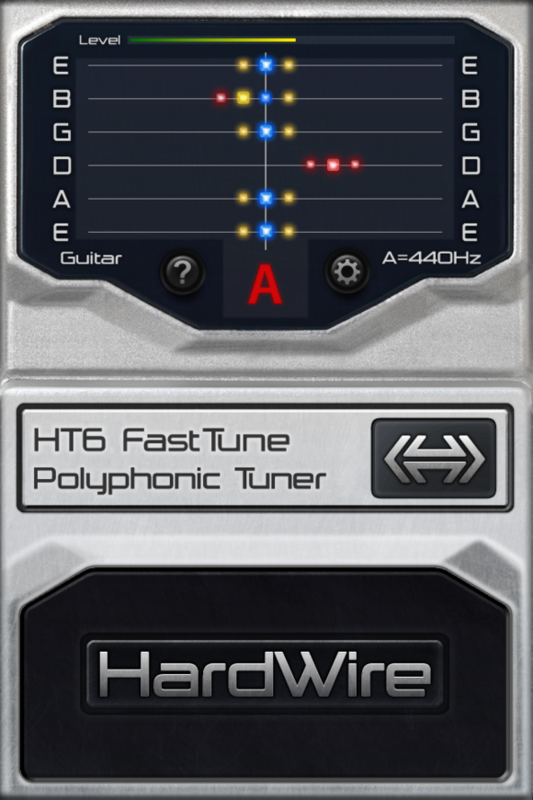 The HardWire HT6 FastTune app for iOS will be available in February 2012 from the iTunes Store® at a suggested retail price of $4.99. HARMAN (www.harman.com) designs, manufactures and markets a wide range of audio and infotainment solutions for the automotive, consumer and professional markets — supported by 15 leading brands, including AKG, Harman Kardon, Infinity, JBL, Lexicon and Mark Levinson. The Company is admired by audiophiles across multiple generations and supports leading professional entertainers and the venues where they perform. More than 25 million automobiles on the road today are equipped with HARMAN audio and infotainment systems. HARMAN has a workforce of about 12,500 people across the Americas, Europe and Asia, and reported net sales of $4.0 billion for twelve months ending September 30, 2011.